In simple terms, the digital scale is an electronic version of a standard weighing scale. They’re available in many sizes to accommodate the size and weight of different types of items. Over the past few years, digital or electronic scales have become more inexpensive and they now weigh items with greater accuracy than in the past. Modern digital scales have features like back lights (to keep the screen illuminated in the dark) and large text/numbers to help people easily view the results. Many modern digital scales are manufactured around the world, which lends to their different on-board international measurement systems. In other words, many digital scales allow users to weight items using the metric system, imperial system or the US customary measurement units, making for a very versatile device in terms of global usage. Digital scales weren’t always so versatile. In fact, digital scales are a fairly modern invention. Here, we’re going to take a look at the history of digital scales, starting from the inception of scales and to the development of the first digital scale that we have come to know and use. The oldest known weighing scale dates back to about 2400 BCE to 1800 BCE, based in the Indus River valley or modern day Pakistan. Before that time, banking couldn’t be successfully performed as no scales existed. 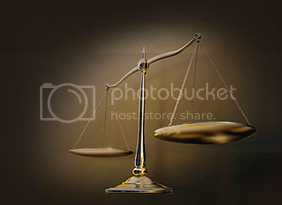 Up until the seventeenth century, all scales were based on the balance scale. Other scale designs like the spring scale might potentially date back to the 1600s and the mid-late 1700s. Spring scales soon became widely used as soon as the mid 1800s, which allowed industry workers to quickly read measurement information better than scales of the past. Spring scales continued to be used quite popularly into the 1900s, and by the 1940s, various electronic devices were starting to be attached to the initial spring scale designs. Starting in 1939, two American engineers experimented with electrical resistances, which helped them eventually develop the earliest known digital scale. The ‘digital’ scales of the 1940s weren’t true digital scales, as the measurement components still used balances and springs. The pivotal component load cells didn’t mature until well past the late-nineteenth century, the earliest known time of the start of their development. Load cells are small nodes that convert pressure from a scale into a digital signal. By the late twentieth century, digital scales become accurate enough to be approved for widespread usage. This phenomenon is what led to the popularity of digital scales today as an inexpensive essential household product. If your company is in the market for digital scales, please check out Acme Scales. They have been in business for over 100 years providing companies with quality digital scales of all kinds. Visit their website today for a full product listing.